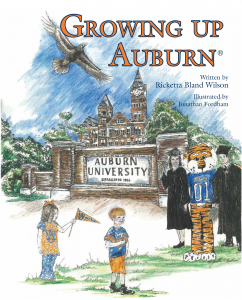 College of Education graduate Ricketta Bland Wilson, ’98, of Heflin, Alabama, has written a new book entitled Growing Up Auburn. 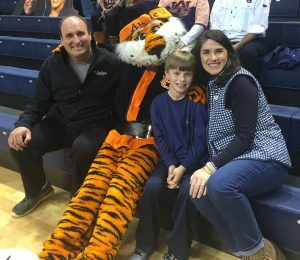 Publisher Mascot Books describes it as “the perfect book for Auburn family of all ages. It begins with the birth of an Auburn baby, features favorite Auburn traditions and different aspects of college life, and ends with the birth of a new Auburn generation.” The book also includes journal pages for family and friends to record special memories or notes of well-wishes. Wilson spent nearly 19 years in public school education. How the book came about is a story in itself. Congratulations Ricketta, and War Eagle!